Music students from The Australian National University will this weekend premiere their three-hour show at the unique Canberra arts festival produced by an ANU alumnus, Art Not Apart. ANU Experimental Music Studio members say their multimedia work with Andromeda is Coming, Apocalyptic and Integrated, is a cross-disciplinary performance that organisers originally suggested last the festival's entire six hours. “But we’re playing for three hours, with four half-hour live sets plus 15-minute segments of things recorded by students including field recordings of birds and water,” the school’s Dr Alexander Hunter says. He’ll perform with his student, Charles Martin, a PhD candidate in computer science from the College of Engineering and Computer Science who did his doctorate on ensemble musical improvisations based on iPad applications Charles made. One set features Alexander and Charles using just iPad apps. “Our piece has to operate at two levels,” Alexander explains. The ANU Music and Art schools feature strongly at the one day festival, from students, staff and alumni involvement to providing a music school grand piano for Nishi Grand Stair performances in the New Acton precinct. Former School of Art head, Emeritus Professor David Williams AM and co-curator of the Nishi Gallery exhibition 'Patterns of Now', says four of the seven festival artists are alumni. “Audiences can expect to be challenged to consider the subtle complexity of the issues expressed in visual form before them in the exhibition,” he says. Hannah Quinlivan (Bachelor of Visual Arts Hons, ’13) says Arrhythmia explores what she calls the “anonymous landscapes” that now mark humanity’s Anthropocene era. “It’s an extension of my solo show at the National Portrait Gallery in January which collaborated with two contemporary dancers and two sound artists,” Hannah says. Festival producer and ANU alumnus David Caffery says art helps us to comprehend large ideas such as climate change and urban development. "Art helps shape patterns of the world and helps us see it with different perspectives,” the Bachelor of Arts (Hons ’12) graduate says. “The huge structure in the middle of Westside Acton Park called Extinction is our headliner and it pushes people to make decisions,” he adds. Other installations like the floating rings on Lake Burley Griffin speak to questions about Canberra’s lakeside development. 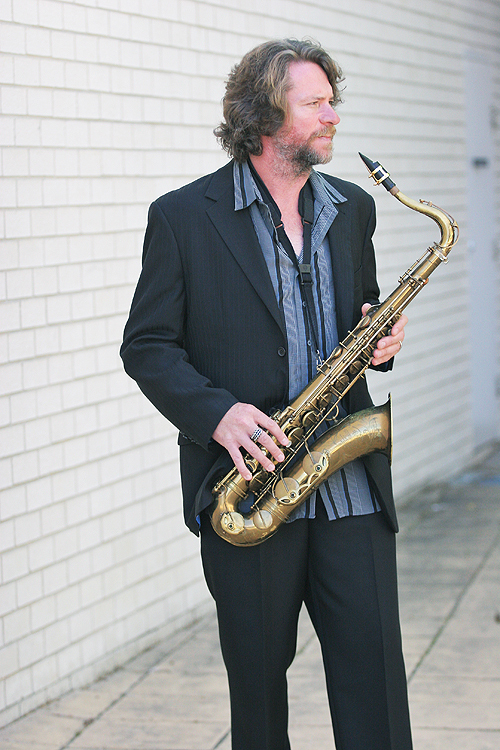 “When one looks at the diversity of the program, you can’t help but marvel at the talent base we have in Canberra and Australia more broadly,” says John Mackey, School of Music lecturer and jazz saxophonist who’ll perform with his eponymous quartet. “The cross-discipline approach is becoming more and more popular [and] the market is yearning for different influences and experiences. For program details and times, see the Art Not Apart official site or Facebook.